I write for it demands me. I go to bed the same. Not people, place or things. To make a sentence sing. When the writing stops I stop. In this way it’s like breath. And must continue until death. 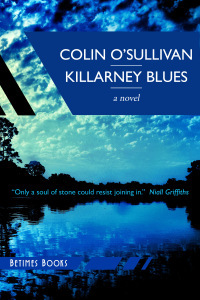 This entry was posted in Uncategorized and tagged Betimes Books, Irish writing, Killarney Blues, poem, writing. Bookmark the permalink. I’m sure you’ll come up with something. Looking forward to it!